← Jian Ghomeshi Part II: What Should We Do With Our Monsters? So let’s just enjoy this meal together, huh? A short montage of shots showing EVAN and CODY sitting at their booth, ordering, and both being served hamburgers day after day. At one point EVAN lifts up the menu and points directly at a picture of a roast chicken. The montage ends with EVAN staring at the hamburger on his plate before lunging at the WAITRESS’s back, only to have CODY stop him. EVAN and CODY sit in their respective places on a brand new day waiting, ironically, for their WAITRESS. You sure look chipper today. Just between the two of us, word on the street is that this diner recently ordered in a shipment of chicken. I . . . subscribe to a number of different newsletters . . . But this could be it! Today could be the day! The WAITRESS arrives, stands by their booth, and waits for their orders. 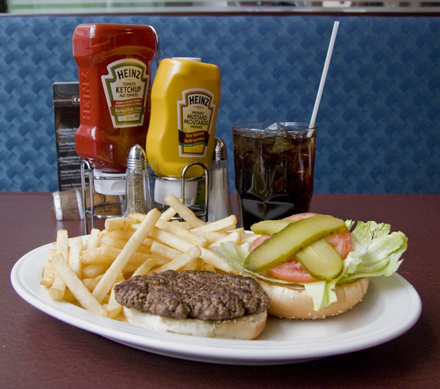 The usual is a hamburger. The WAITRESS nods, wearing a tight-lipped smile. The roast chicken, if you please. The WAITRESS leaves EVAN and CODY to their booth. I almost can’t put into words how excited I am, this is going to be great. My roast chicken is going to be here in any second! Pan up to the clock at the wall. Ten seconds pass in real time, but the third hand moves only once. Coming back to EVAN in the booth. You’re getting shrill; people are watching. sitting in the corner. He doesn’t look up from behind his newspaper. When we come back to the booth the WAITRESS has returned. She places two burgers in front of them and leaves. CODY places a hand on EVAN’s shoulder, but his acquaintance/peer/friend doesn’t react. They stay like this for fifteen seconds. Let’s not make a big deal out of it, okay? Seriously, I wonder how other people in this diner feel about our behaviour sometimes. The LARGER, OLDER MAN is slumped down behind his newspaper. He might be dead, there’s honestly no way of telling. Back at the booth CODY picks up his burger and takes a bite. His brow furrows, then he grins widely, which is pretty gross because we can sort of see the food in his mouth. Hey, buddy, how about you try your food? C’mon, just take a little taste. I think you’ll be supriiiiised. EVAN looks down at the sandwich in his hand, and we can see that the patty isn’t the familiar grey-brown of beef, but pale chicken. He chews slowly, not saying a word. A chicken burger? 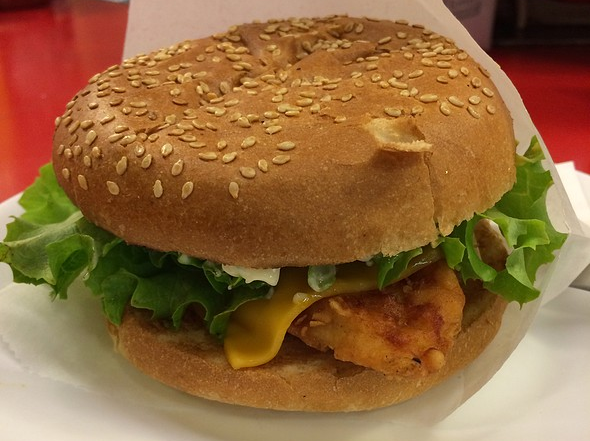 A chicken burger? No, what I wanted was the roasted chicken. That’s all I ever wanted! Come on! Isn’t this close enough? Can’t you just be happy for what you’ve been given? How can you even say that? You’ve always gotten exactly what you asked for! Today’s the one day you got something else, and it’s still basically the same thing! EVAN stands and points at the WAITRESS, who is leaning by the window into the kitchen. YOU! You did this! You’ve been behind this all along! Without even really looking up the WAITRESS utters her first words. The LARGER, OLDER MAN sets down the newspaper and reveals that he is actually a LARGER, ONLY SLIGHTLY OLDER MAN. He marches over to EVAN and effortlessly restrains both of his arms with a single hand. With the other he slips a folded paper bag out of his pocket, shakes it open, and slides the contents of EVAN’s plate into it. As he is being marched out EVAN howls in the WAITRESS’s direction. CODY remains in the booth, speechless. EVAN sits on the curb, breathing heavily. After a moment he grabs the paper bag sitting beside him and takes out the chicken burger. He lets out a long and tired sigh and bites into it. The LARGER, ONLY SLIGHTLY OLDER MAN approaches the WAITRESS, who hasn’t moved from her spot. Sorry about all that, Holly. I already told you, “Ms. Wood” will do. As you may or may not know, today marks the North American release of Big Hero 6, an animated movie from both Marvel and Disney. You would think that I could not be more excited about this, and you would be so very, very wrong. If anything, the primary emotion I’m feeling is disappointment. In the comics Big Hero 6 is the name of a Japanese supergroup comprised of, you guessed it, Japanese people. To reiterate, the source material starred both Asian men and women engaging in bombastic crimefighting in an Asian country. When I found out that in May of this year that the film would not be set in Tokyo, Japan, but instead “San Fransokyo” a ridiculous-sounding portmanteau of, well, I think you get it, I immediately grew wary, but bit my tongue. At around 1 minute and 56 seconds in we see a character that I assumed was Hiro’s mother, but turns out to be his Aunt Cass. Not that this difference matters at all, because as USA Today confirms Hiro Hamada is “half-Japanese, half-Caucasian”. 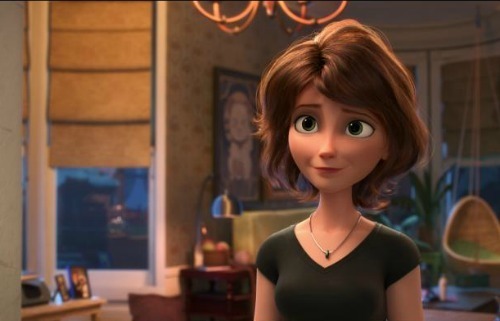 Which means that the creators of Big Hero 6 weren’t content to just change Tokyo to San Fransokyo, they had to take the full-Japanese protagonist they had and, I don’t know, make him more relatable. I say that because I can’t think of any reason why this would be necessary. They already decided to change the setting and transform the homogenous team into a more multi-ethnic one and it still wasn’t enough. No, we needed to make the kid half-white, because far be it from filmmakers in the United States to release something that the “majority” of the filmgoing population can’t connect with. All I’ve ever wanted for years and years now is a superhero movie with an Asian lead, and thus far I’ve had to be content with Jim Morita in Captain America: The First Avenger or Hogun in the Thor franchise. When Big Hero 6 was first announced I became genuinely excited, because there’s no way they could change things that much, right? No, this isn’t even close to the same situation as Exodus: Gods and Kings, which made some pretty heinously racist casting choices and that you should not see, but it is soul-crushing nonetheless. This was an opportunity to show a side of the world that we don’t often see on the big screen, but instead they decided to mash it up with what’s already familiar for the sake of palatability. 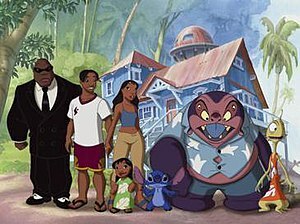 This is from the same studio which brought us movies like Mulan and Lilo & Stitch, the latter of which is set in America and has no Caucasian leading characters. If anything, they opted for the “safest” choice possible. The powerpoint even mentions that one of the characters who was made white was originally Ainu, an “indigenous ethnic group in Japan [. . . that] face oppression and are extremely underpresented in media.” They tried to diversify the cast and took the spotlight away from people who will, in all likelihood, never have the opportunity to receive it in a blockbuster movie again. At the very, very best the decisions made in this film are condescending to non-Asian and non-Japanese audiences, as it assumes that they would not be able to full enjoy a movie that doesn’t represent them. Look, again, this isn’t an Exodus: Gods and Kings situation. I’m not telling you to boycott this movie, and in all likelihood I’m going to watch it myself [because a half-Asian lead is better than no Asian lead]. What I’m trying to tell you is that while this may be good, it isn’t what I ordered. I’m still waiting to get what I want, and it’s hard for me to understand why Hollywood won’t give it to me. 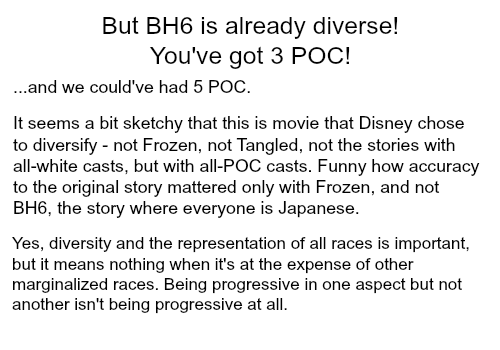 This entry was posted in Asia, cartoons, comics, film, media, race, writing and tagged Ainu, asian, audience, Aunt Cass, Big Hero 6, Disney, diversity, Exodus: Gods and Kings, GoGo Tomago, half-White, Hiro Hamada, Hollywood, Japan, Japanese, Lilo & Stitch, Marvel, minority, Mulan, not what I wanted, race, racism, relatable, representation, roles, San Fransokyo, Wasabi, whitewashing. Bookmark the permalink. I don’t know… the only white characters are *SPOILER* bad guys, drug addled mascots, or desperate for attention relatives. Seems kind of racist in the opposite direction that you’re imagining. I feel like you’re trying a little too hard to paint the white characters in a negative light, or calling the film out for “reverse racism”. Fred isn’t any better or worse a character than Wasabi or Honey Lemon.